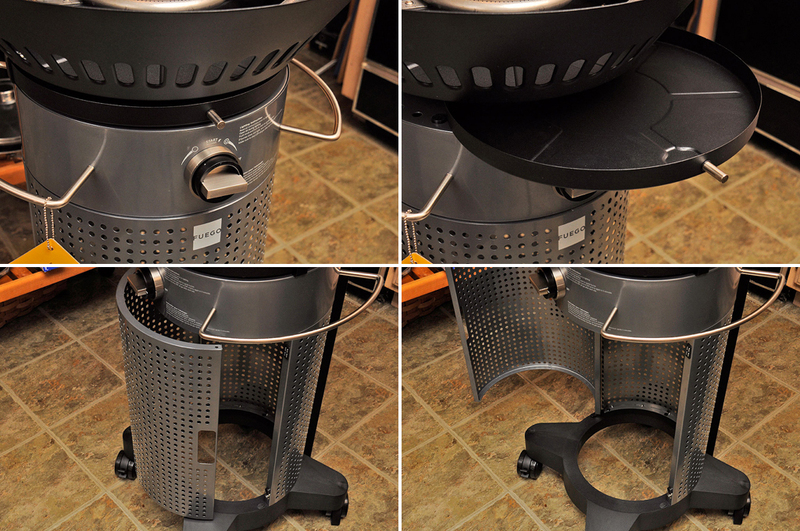 The Fuego Element Grill is a new edition to the RainyDayKitchen. 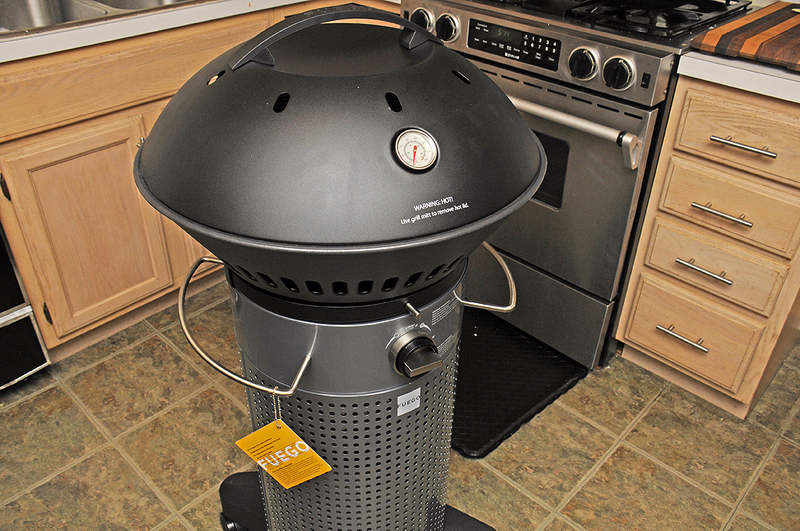 We are excited to feature this grill in RainyDayMagazine’s 2015 FirstGrill event. Our guests will have a chance to check out its features and see it in action. For our more distant readers, we will take a FirstLook at the Fuego today and do a rundown on all of the bits and pieces of this great-looking unit. Large control knob: Left for one burner, right for dual burner, push to ignite. There is a temperature gauge on the outside of the dome hood and an integrated heat reflection shield on the inside. The heat reflection shield efficiently circulates the heat generated by the burners: “low and slow” at 250º with one burner, “fast and hot” at >500º for searing with both burners. The two-burner setup combined with the heat-reflecting domed hood create a two-zone grill that heats up fast, gets super hot quickly, but allows slow cooking at a lower heat when needed. Underneath the burners is a slide-out tray that catches grease drips and fallen food particles, making clean up easier. The large cooking surface and vertical profile means it is no longer necessary to sacrifice grilling performance for a compact size. It is perfect for space-conscious city dwellers and/or those with a small outside deck. The fuel tank is stowed underneath, providing stability by lowering the center of gravity. The swing out door gives easy access to the tank for maintenance. We really like the thinking which went into the design of this Fuego grill. 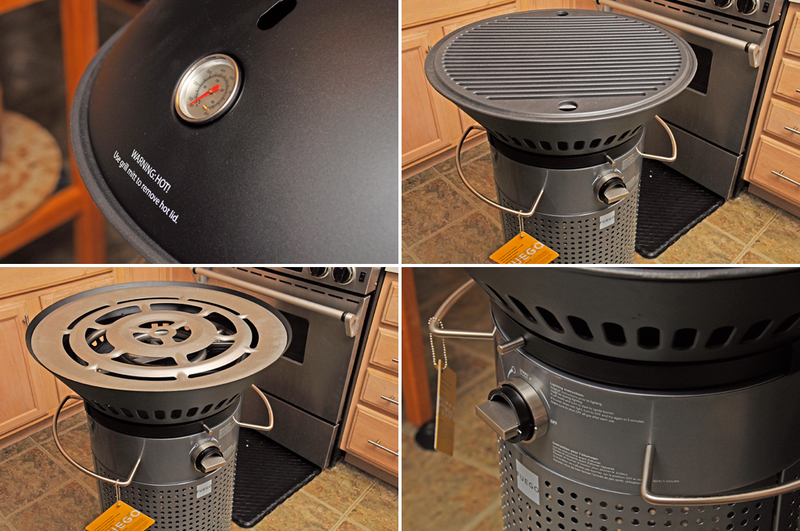 We’ll have more to say about the Fuego Element after FirstGrill. Look for it next week.